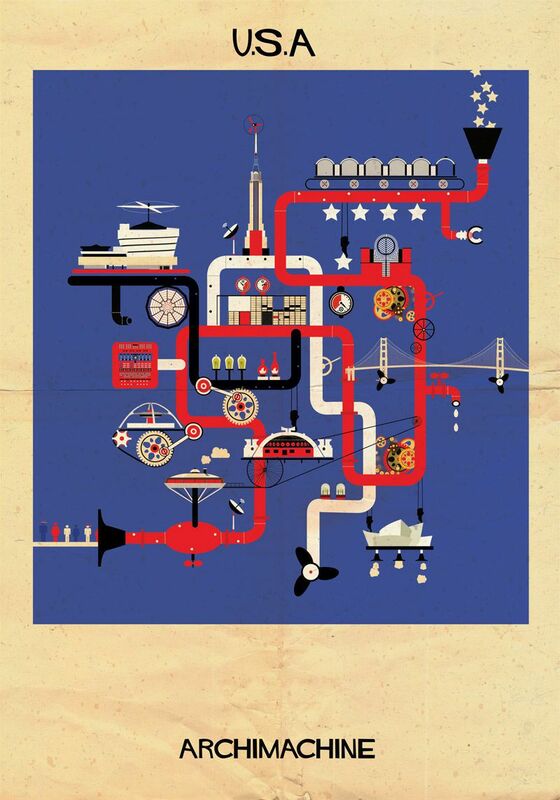 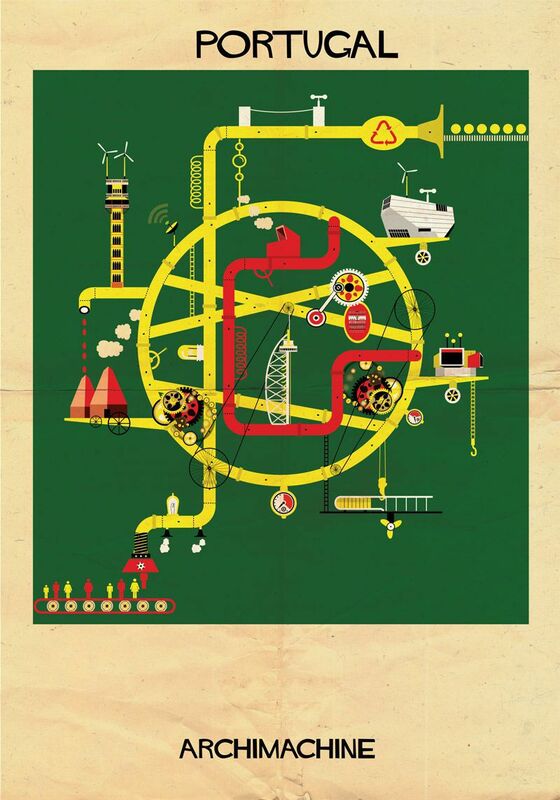 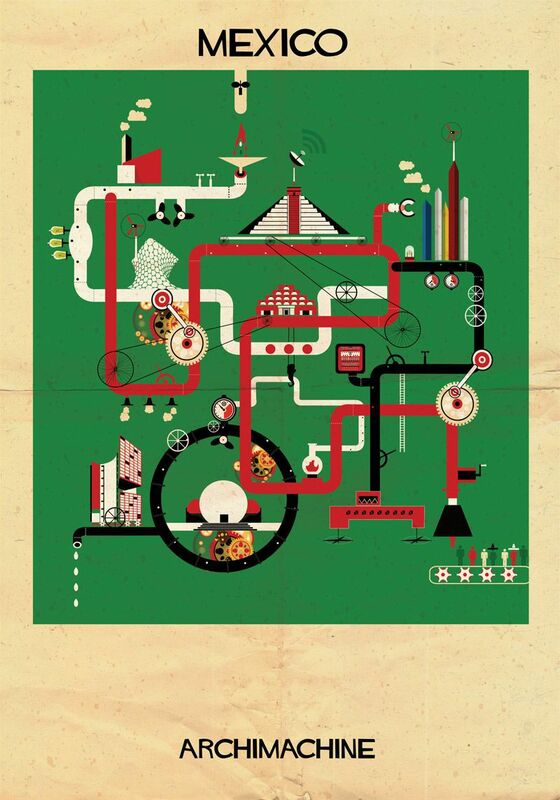 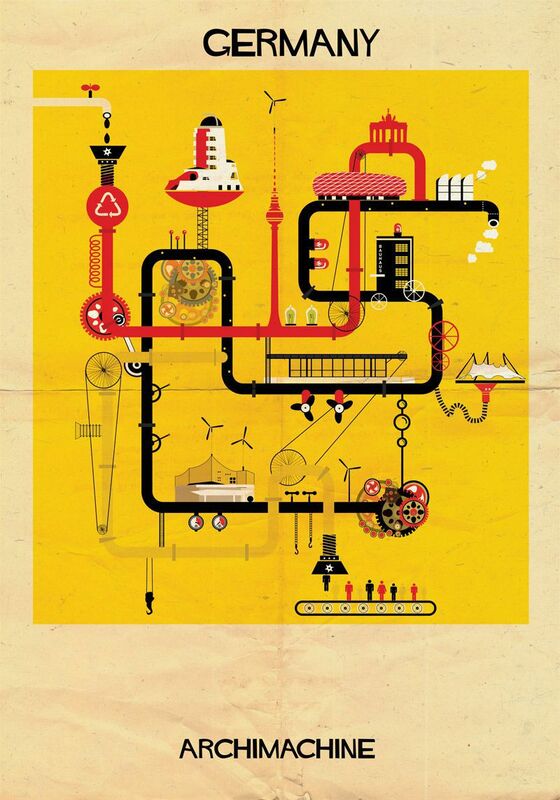 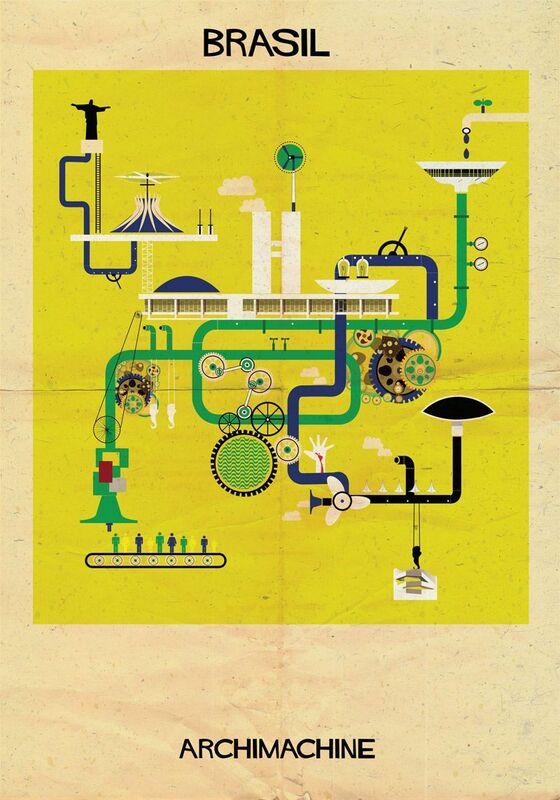 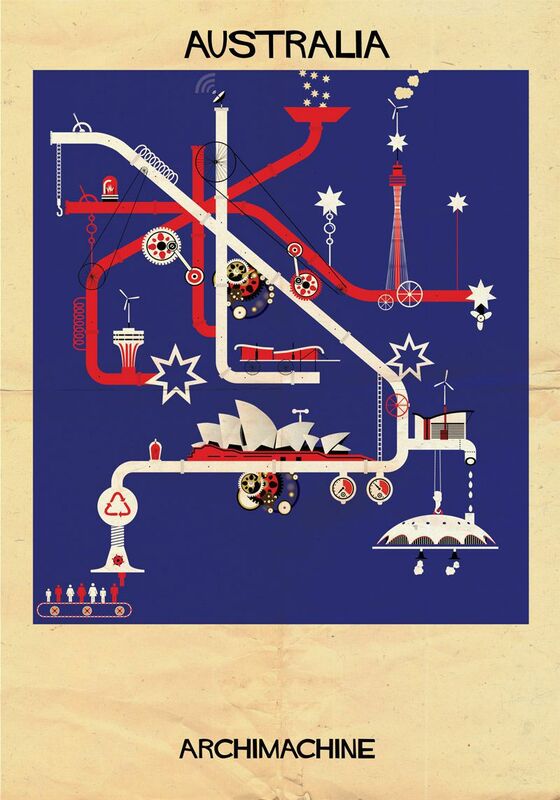 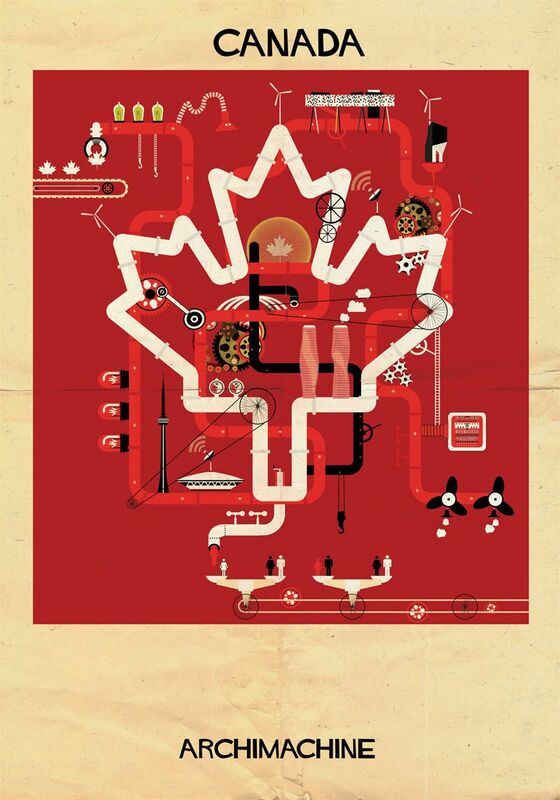 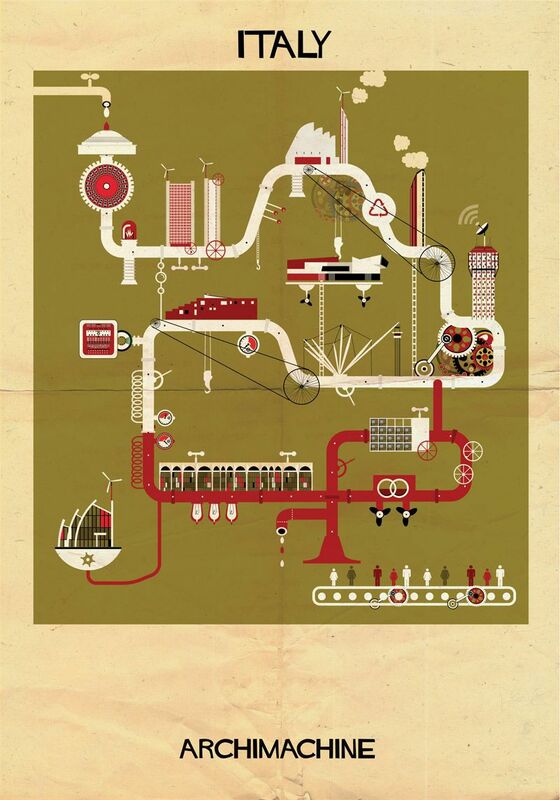 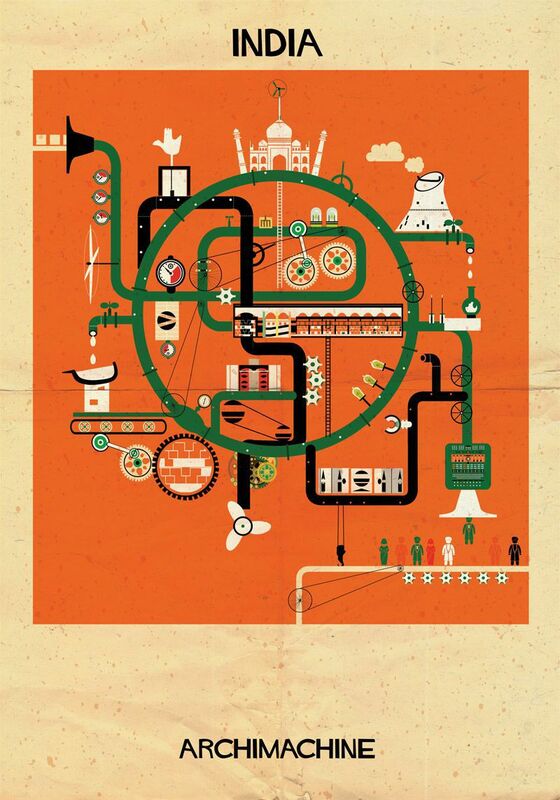 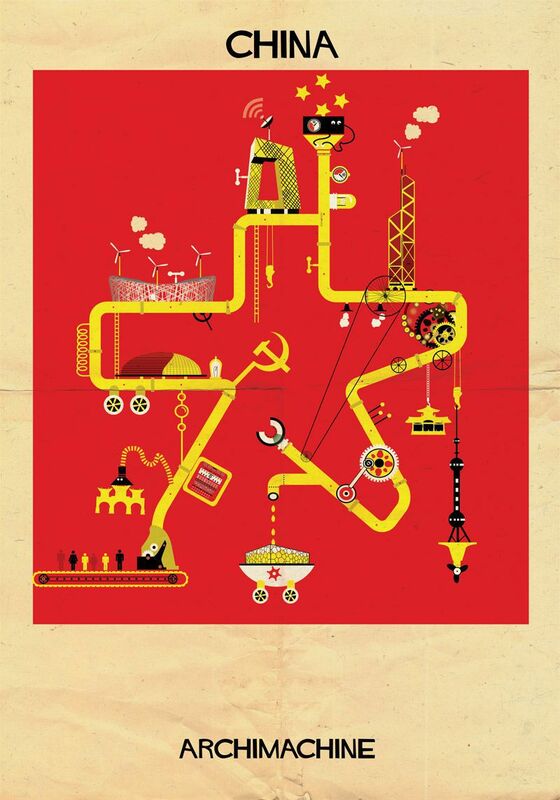 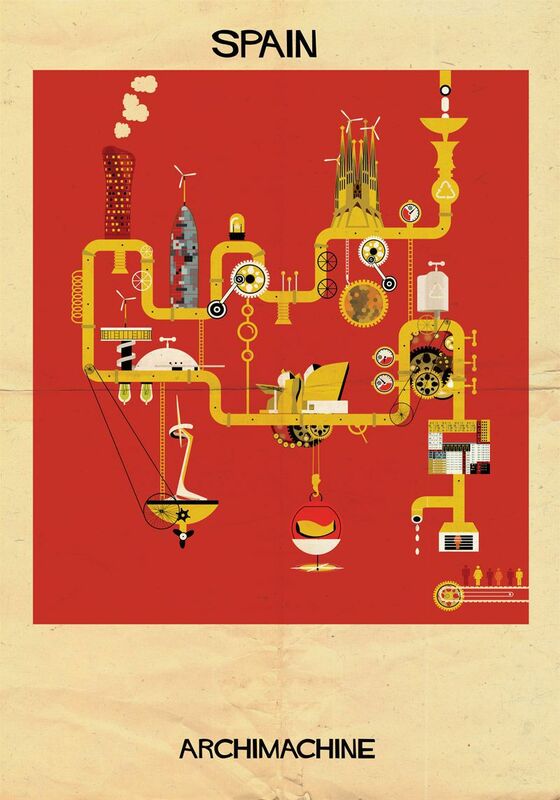 Architect and artist Federico Babina believes that the architecture of a country plays a big part in its culture. 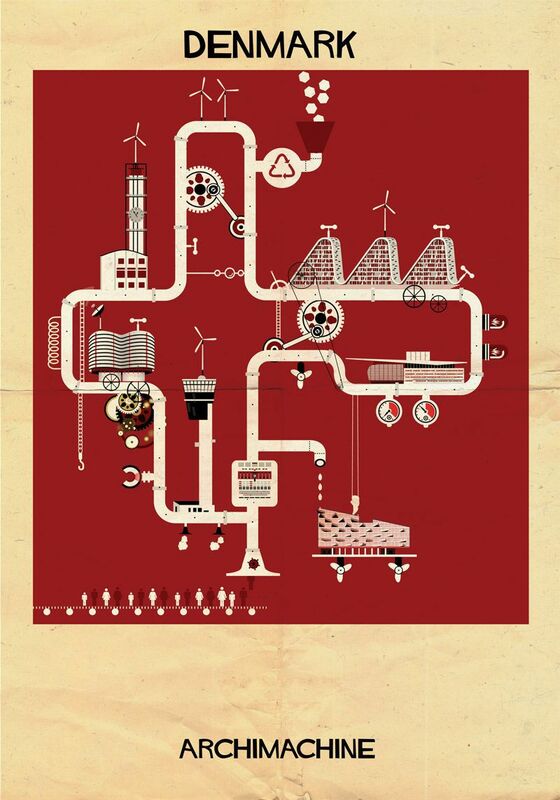 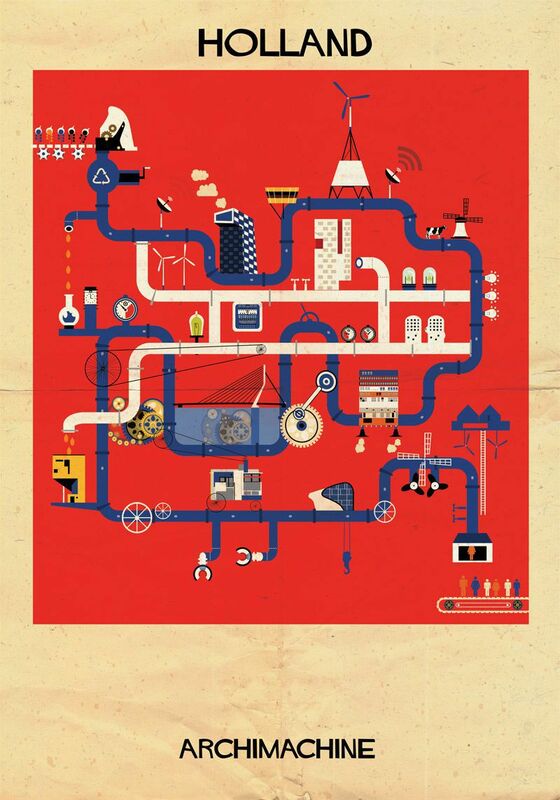 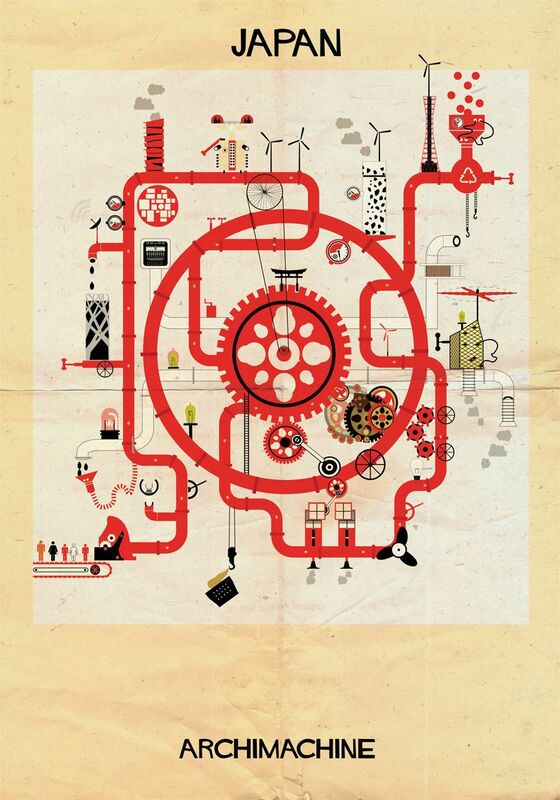 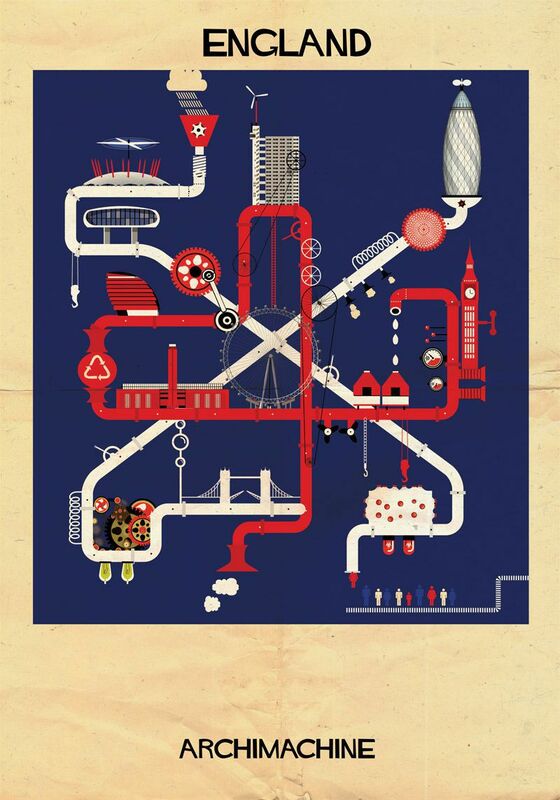 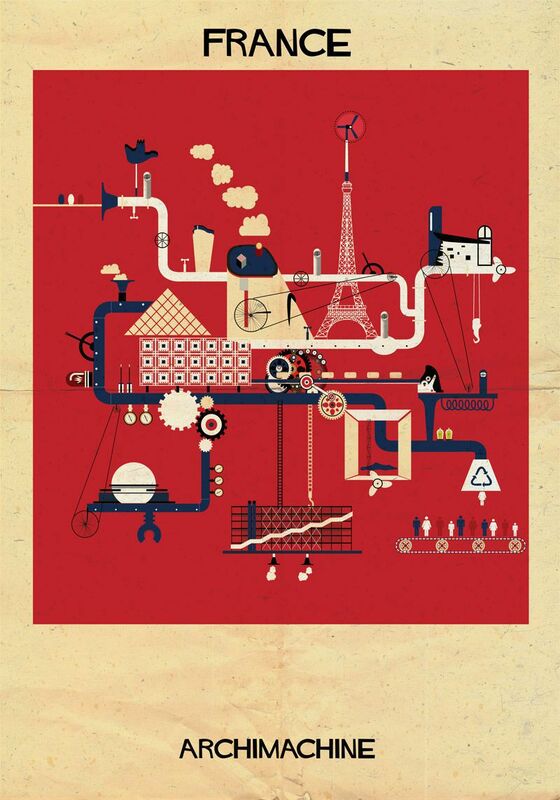 His recent illustration series, entitled ‘Archimachine‘, perfectly depicts this sentiment. 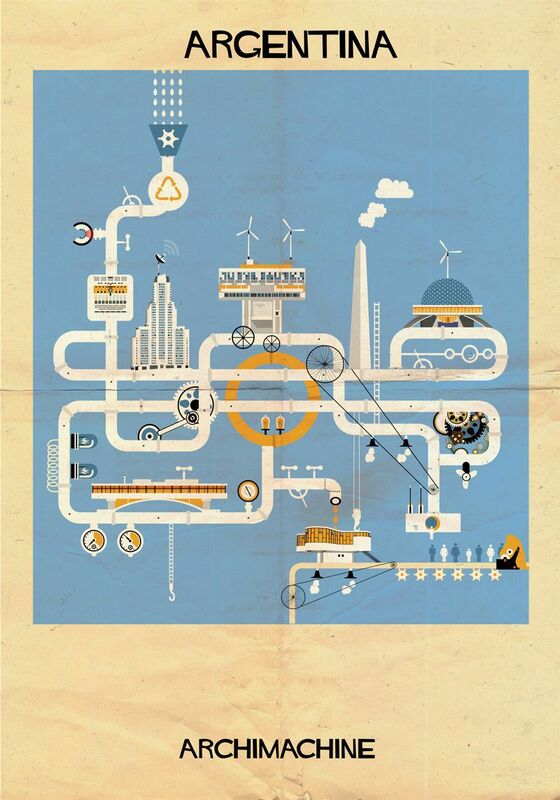 Federico has created 17 visually stunning illustrated architectural machine representations of countries from around the world.